With the big game coming up it has probably got you excited for other sporting events this year, or maybe you are participating in an event of your own? Big sporting events happen all year round but what about other events that may be local to you for fun or fundraising! If you are thinking about planning a sporting event or setting up a sports club of your own, branding your team or event is an effective way to raise awareness or encourage fundraising. Whether it be American Football, Basketball or Baseball, having a clear brand image can reflect your clubs reputation and identity. Adding custom patches to sports kit and apparel is a great way to organically show off your teams emblems and get everyone knowing who you are! Over the years we have grown to know which products work best for the sporting market no matter how big or small. Who doesn't like to be rewarded for their accomplishments and what better way than custom made medals for your team? 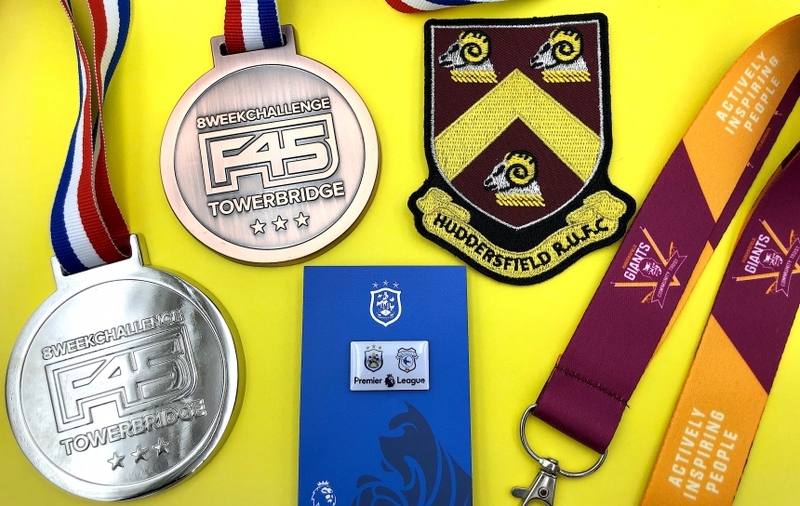 Pin badges are also an effective way of rewarding your players or why not gift custom pin badges out to fans and members to say thank you for their loyalty and continued support! If you are a sports club or organization, investing in customized merchandise like wristbands, keyring and badges to sell on match days or online can not only grow your club fanbase but also grow your profits. Why not donate a percentage of the profits made to a charity in your clubs name to network and build strong relationships with organizations from different areas. Whether you are a new sports club working in line of a budget or a well established organization needing large quantities, we have a wide range of custom made products for you that are made to a high quality but without the premium price tag! Call us today on 01484937877 or send us an email at hello@madebycooper.co.uk to get started!